A substantial 3 bedroom apartment on the 1st floor in this highly sought after riverside development. 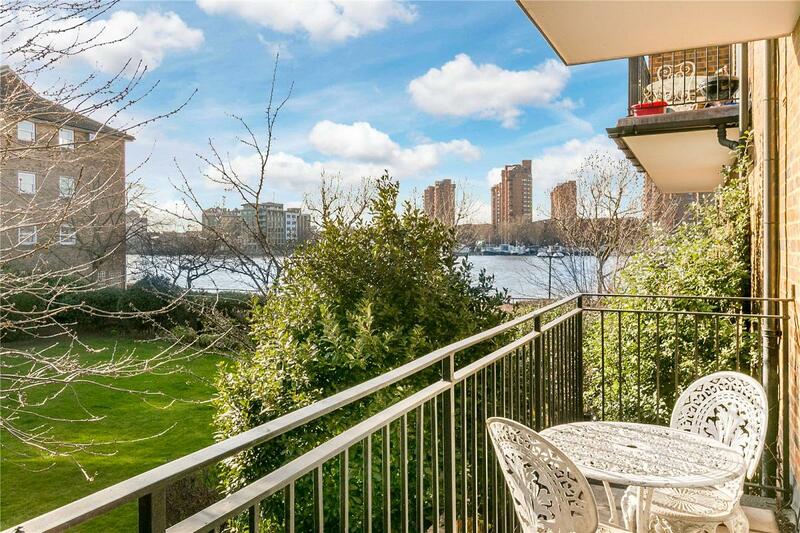 The property benefits from stunning views across the River Thames from the reception room and balcony and comes with both a garage and estate parking. Having been in the same ownership for many years the property offers an incoming buyer the chance to modernise to suit their own tastes. Morgans Walk was built in the early 1980's and occupies a superb spot between Battersea Bridge and the landmark Richard Rogers designed Montevetro building. The 200 acres of Battersea Park with its excellent range of leisure and sports facilities is located less than half a mile from the flat and Chelsea is just moments away.